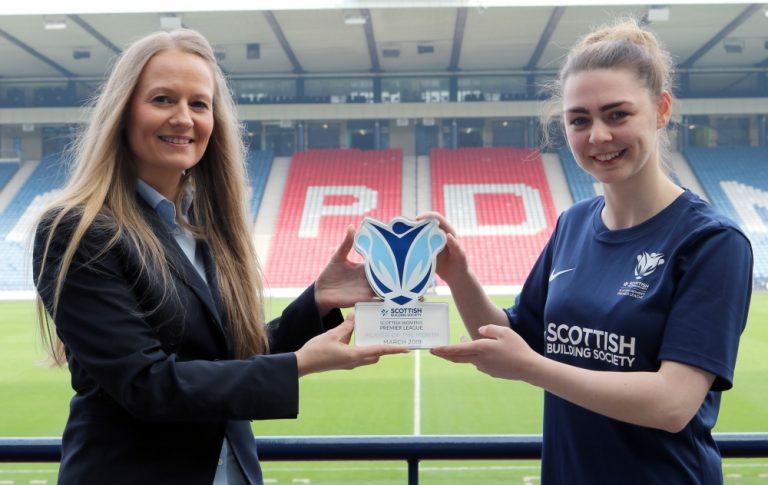 Scottish Women’s Football (SWF) can confirm that new entry criteria has been approved and will be introduced for the 2019 season, applying to the 16 teams participating in the Scottish Building Society SWPL 1 and 2. Each club must have a Head Coach/Manager with minimum qualifications outlined for the role. Each club must have a Goalkeeping Coach with minimum qualifications outlined for the role. Clubs must have a Physiotherapist present at all games. Players should have access to a Physiotherapist at least once per week. Facilities where refreshments (tea/coffee etc.) can be purchased. PA system to ensure key information is communicated i.e. starting 11, scorers, match officials. Match Programmes produced (digital versions will suffice). The minimum level of cover for both home and away spectators at 199 seated covered places (SWPL 1 only). Clubs should have a full player pathway. Interim Executive Officer, Lorna Cameron, said: “This is a huge step forward for Scottish Women’s Football. As the game grows and develops, we need to ensure that there is a minimum standard for our top two divisions. By having this criteria, we are ensuring the domestic game is on the right path. “This criteria is about setting standards to deliver quality on and off the pitch. By creating an equal playing field whereby all teams are providing a consistent match day experience, the entry criteria will encompass the overall spectator experience allowing us to further enhance credibility and perception of the women’s game, attract further commercial sponsorship and ultimately continue to improve the standards on the pitch by offering a more professional environment. In the past, these areas were left at the clubs discretion with a variety of offerings across the country. There needs to be a consistent approach. “We want to drive attendances to games but to do that, we need to be able to provide a positive match day experience. Sheltered seating, match announcements, half time refreshments – these are key factors in ensuring spectators are well informed, get to know the players on the pitch and can enjoy their overall experience on the day.